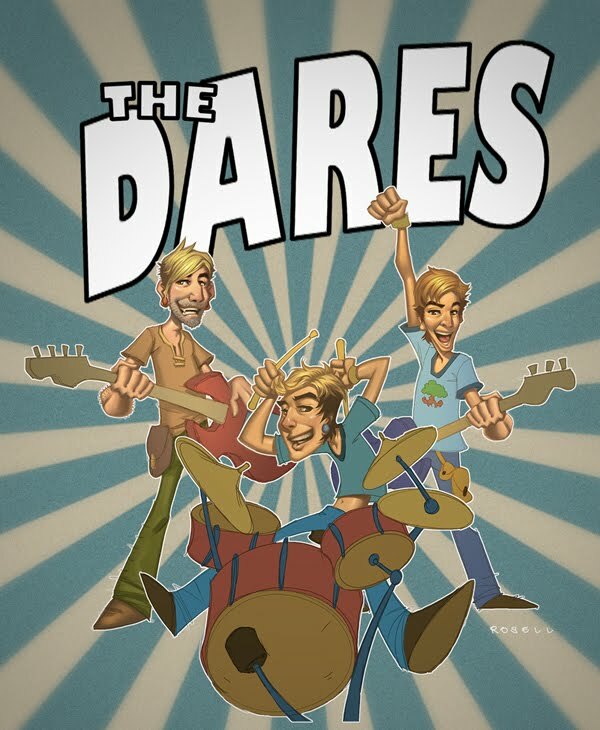 This was unfinished art done of the band The Dares who did the theme music for the game I worked on. 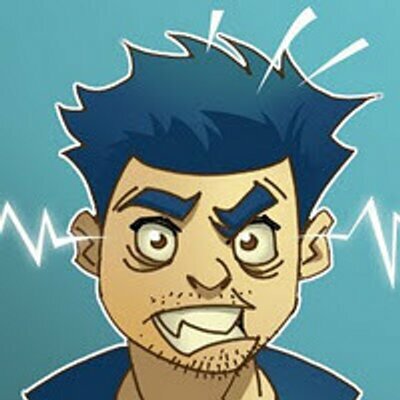 Caricature is not really my forte but its always a fun challenge. A Hippo has got to eat. This week’s sketch topic was Hungry Hungry Hippos. I didn’t really know what to do for this topic and I wasn’t really that into it to tell the truth. 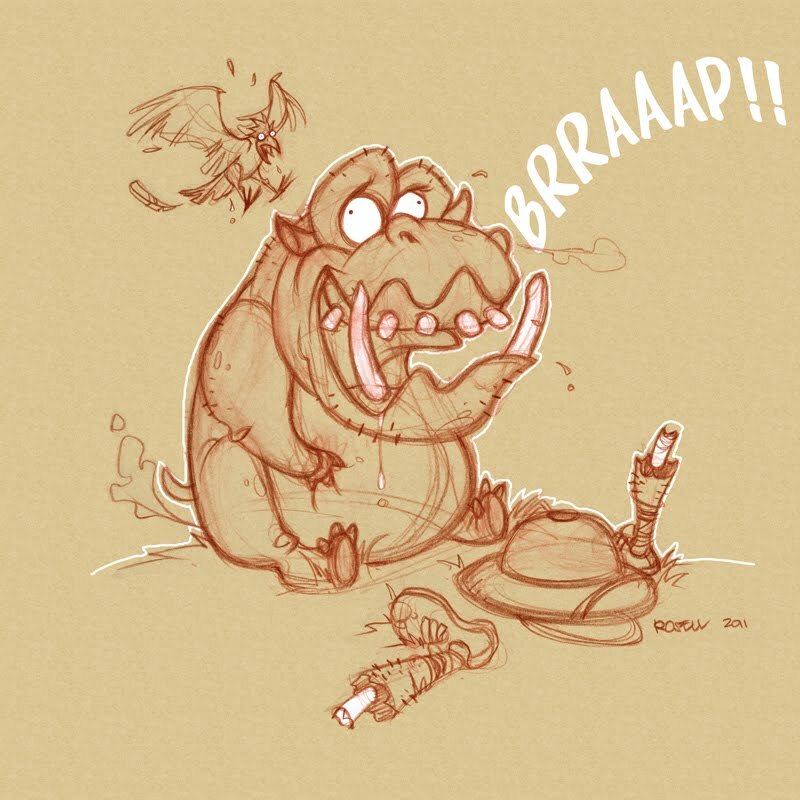 I’m glad I did it though since it forced me to do some quick studying on Hippos since I never really draw them. Who knew these animals were so crazy? According to the wikipage, hippos are responsible for more human deaths than any of the large animals in Africa! Oh and they’re related to whales. This Hungry Hungry Hippo here took care of a safari adventurer that got a little too close. Posted on February 9, 2011 February 11, 2016 1 Comment on A Hippo has got to eat. 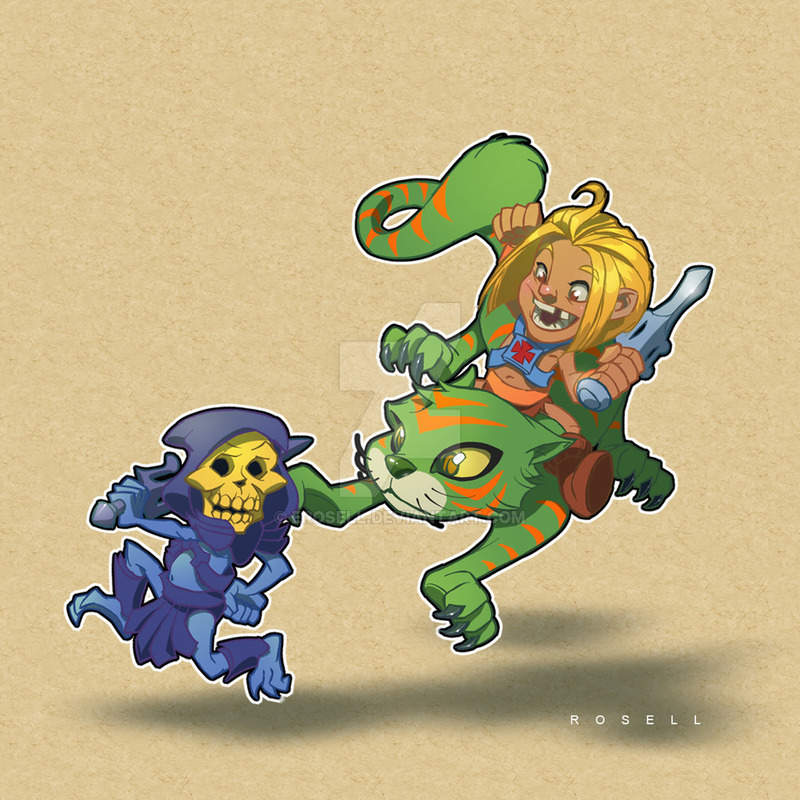 He-Man and Cringer toying with Skeletor. 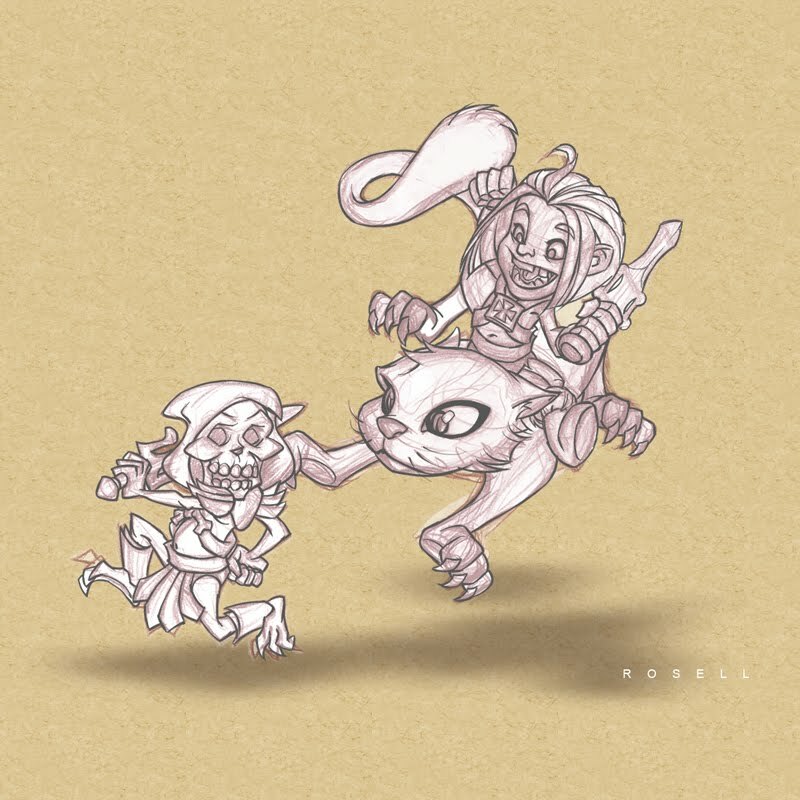 I’ve been lagging big time on our studio weekly sketch dealio and I’m having to play catch up. This is my contribution for He-Man week. I decided to do a younger version of He-Man (He-Boy?) and Cringer as a kitten being a thorn on the side of Skeletor, who was even ugly as a kid.